The most powerful air to get the job done. 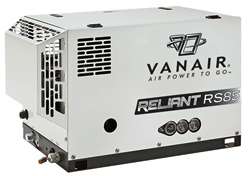 Vanair's new rotary screw RS85 is the product you need. Offering enough air to power a 90lb jackhammer, the Reliant gets you in and out of the job site fast! 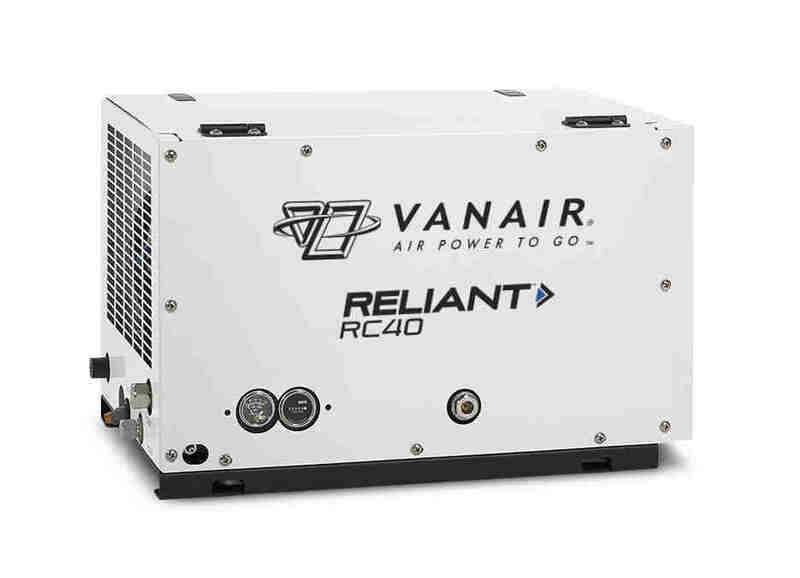 For applications where truck-bed space is at a premium, yet your application demands powerful performace time after time, rely on Vanair's RC40 hydraulic-powered reciprocating compressor to get the job done. 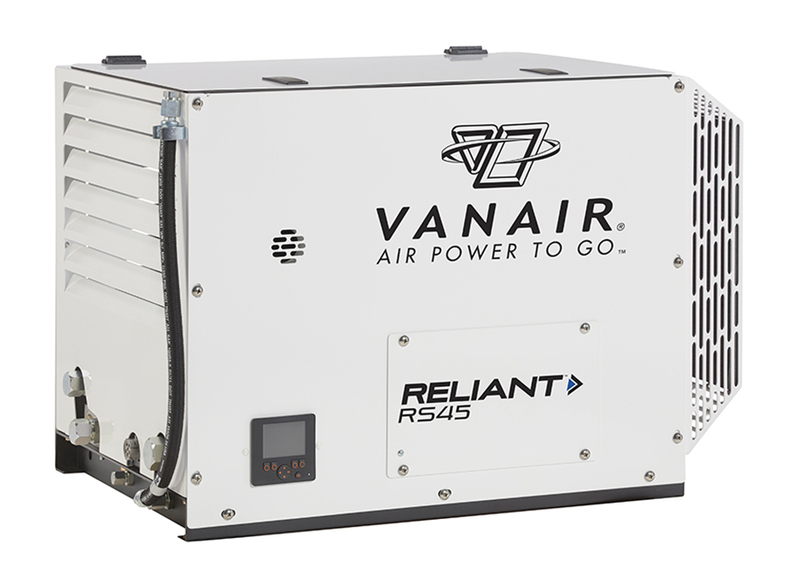 Supply connections: Hydraulic oil in - 3⁄4"; Hydraulic oil out - 1"; Case drain - 1⁄4"
Vanair once again is listening andmeeting the demands of the marketplace with the introduction of the new Reliant™ RS45 air compressor; the most powerful, lightweight system in its class. At 45% less weight than its predecessor, the RS45's featherweight rust-proof aluminum canopy reduces truck weight and fuel consumption. Providing an impressive 45 CFM and 150 PSI of on-demand air power at 100% duty cycle, the RS45 has the hightest CFM rating in its class. Advanced sound attenuation technology has significantly reduced the sound level on themachine. Quieter, lighter and more powerful, the RS45 will meet your toughest challenges out in the field. 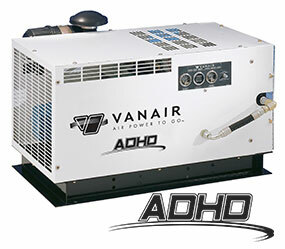 The compressor unit in the ADHD series is directly coupled to a hydraulic motor. Since there are no drivelines or V-belts, the ADHD can be located anywhere on the truck bed. This simple design along with Sullair rotary screw technology makes this unit the most powerful, versatile modular air compressor in the mobile market.